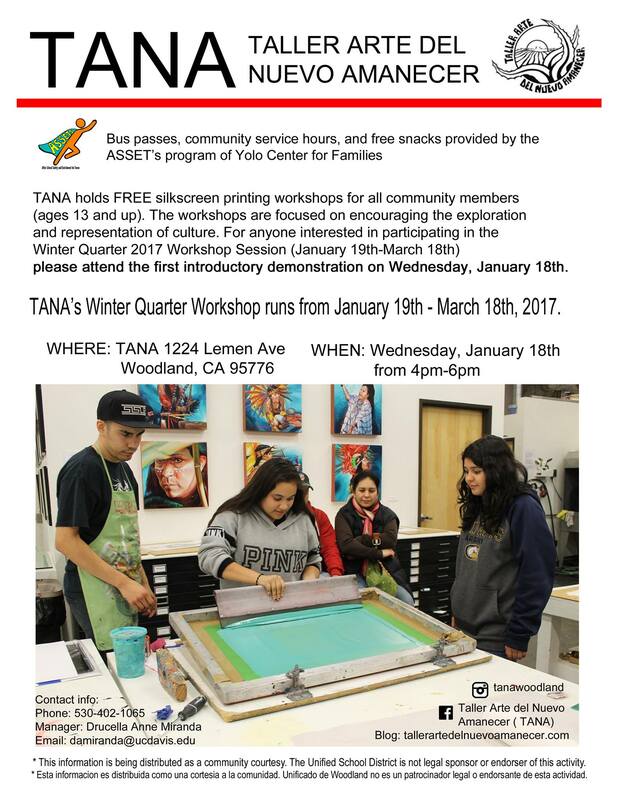 With a new year ahead, we invite you to come to our Demonstration Day on Wednesday, January 18th from 4 – 6 p.m. As a new political era dawns, come and join our community of printmakers to continue the legacy of printing in the Chicano Movement. This Demonstration Day is mandatory if you are interested in joining our free class this Winter Session, as we have 20 slots available. 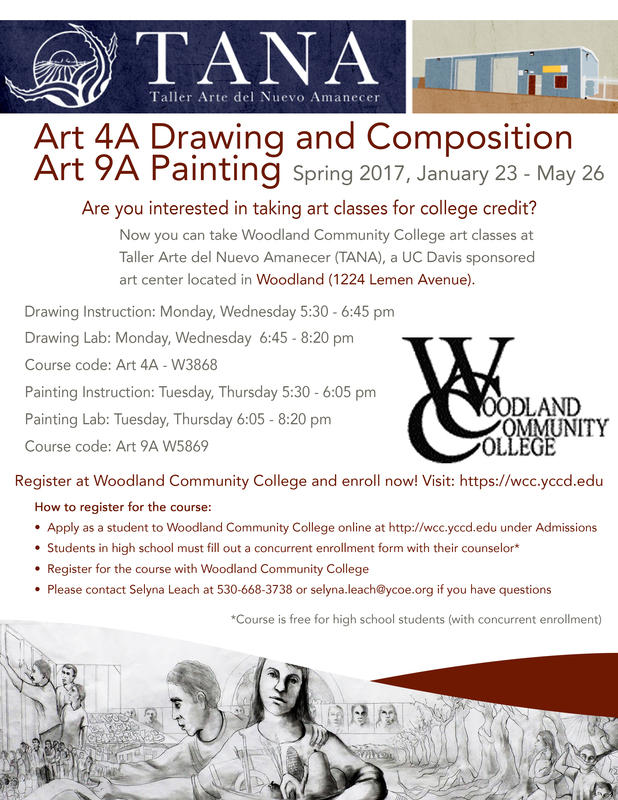 If you are also interested, Woodland Community College is holding two courses at our studio in the evening. Both Beginning Drawing and Beginning Painting will be taught by our Artist in Residence Jaime Montiel. If you are a high school student, you may register for the class you are interested for free and receive college credit. See the flyer for more info!